What? 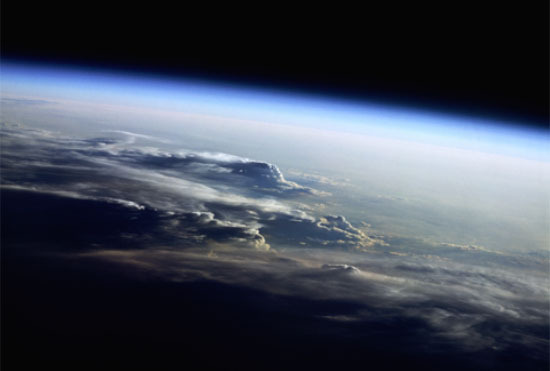 The AGW (anthropogenic global warming) hypothesis says that the radiation is being kept IN by the C02 in the atmosphere… thus it matters not that it’s reflected back into space by white surfaces on the SURFACE of the Earth SINCE they ARE well within and UNDER the green house gas layers of the atmosphere (not counting the painting of mount everest et. al.)! Dah! What kind of bizarro world is this where the radiation can be reflected back and NOT be stopped by the VERY C02 (and other) GREEN HOUSE GASES that are the problem? I guess we’re going to use magic white paint to tell the photons that hit the magic white roofs that they are special photons and that they have a pass to magically not be blocked by the green house gases in the atmosphere on their way out. Now that’s a good business to be in, selling magic white paint. It is the height of nonsense coming out of Chu’s brain as you can’t have it both ways there Steve and Al, either the green house gasses keep the radiation trapped in OR they don’t! Which will it be? 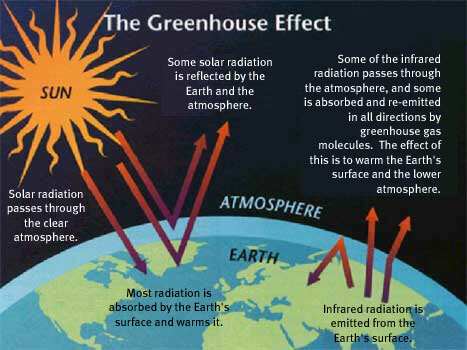 If the green house gasses can’t keep the heat radiation in then it follows that AWG is now proven false by Chu’s statement. If the green house gases do keep in the heat radiation then AWG might have some tiny probability of being true AND Steven Chu’s been proven an idiot for wanting to paint the world a 1984 gray. I don’t know about you but in Canada we like it toasty thus darker colors for buildings are better to keep it warm in the winter and use less energy for heating. White buildings in the southern regions closer to the equator make sense to keep the buildings cooler in the heat that is there most of the time. Saving the use of energy makes a lot of sense but why confuse the issue with bad science and terrible environmental notions that this somehow has to do with the sketchy AWG hypothesis? It’s also nice to Chu to finally acknowledge that the Sun does in fact play a role in heating the earth. Interesting how mind numbingly stupid this notion as presented by Chu is. This entry was posted on May 27, 2009 at 3:46 pm	and is filed under Adult Supervision Required, Bad Ideas, Bad Science, Belief Stricken, Believe it or your a denier!, Big Brother Planetary Control System, Climate Science, Complex Systems, Debunking Bad Environmentalism, Ethics in Science, Evil Walks the Earth and Carries a Big Stick, Hard Science Required, Human|Ape, Humbled by Nature, Ignorance to Knowledge, Rational Thinking, Reality Based Environmentalism, Science Education, TerrorForming Earth, The End is Nigh, The Sky Is Falling. You can follow any responses to this entry through the RSS 2.0 feed. You can leave a response, or trackback from your own site. You are confused becasue you ahve bought into the polarization of this sisue. Not ALL heat is trapped in, just more. So buy reflecting it more goes into the atmosphere, but MORE IMPORTANTLY ACs will be running less. Large building are harder to cool then heat, even in Canada. That’s funny, polarization, good one… however I’m not confused at all about the AGW hypothesis nor about the green house gas theory in particular. Trust me in the winter spring and fall in Canada, even the relatively warm cities like Vancouver, heat is a serious problem in the winter. A one shoe fits all scenarios for reducing energy consumption, such as magic white paint, won’t help us. It’s just bad science to think that magically painting every darn thang white is going to do much. Besides the AGW hypothesis hasn’t been proven yet. In fact it’s heading the opposite direction: http://wattsupwiththat.com/2009/05/24/disproving-the-anthropogenic-global-warming-agw-problem/ [wattsupwiththat.com] . In buildings that require air conditioning put up SOLAR PANELS to offset some or all of the cost of cooling the buildings. It is a well know fact that white buildings reflect heat from the sun. This is a fact that humans have taken advantage of for thousands of years if not more. Confusing it with the nonsense of AGW makes no sense. It does make a lot of sense to reduce the energy consumption of every building. In Canada this has been encouraged for decades to save energy! We also add insulation to keep heat in during the cold times and heat out during the hot, and we design our residential and industrial roofs to have good heat venting. AGW has replaced being environmentally responsible as it’s the latest buzz word for social control and now it would seem government control of our lives at every level. Quite pernicious. Chu is simply spouting political propaganda disguised as science when it’s bad science to mix unrelated notions. If Chu simply said that we should check to see if it makes sense for any particular building to have a coat of white paint as part of it’s energy management that would have been fine. To mix in the AGWH just tarnishes his reputation as a scientist and moves him squarely into the Belief Stricken AGW crowd who are on a political terrorforming campaign to alter our planet’s atmosphere. We in Canada want it to get warmer. Thanks very much for not adjusting the planet’s thermostat downwards.